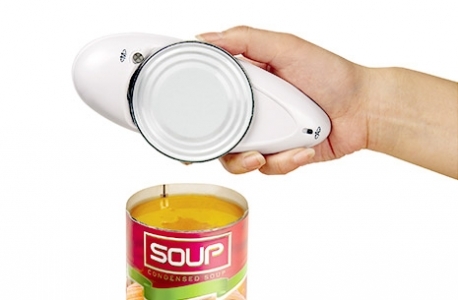 Say goodbye to struggling, mess and sharp edges! 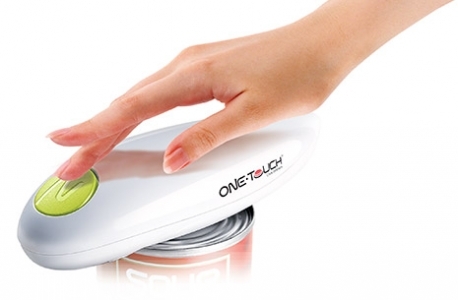 One touch – opens all standard-sized round cans with just one touch! 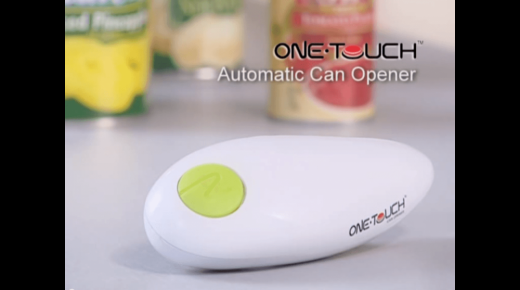 It is the World’s first automatic can opener with one-touch operation, opening cans in a truly hands-free way. 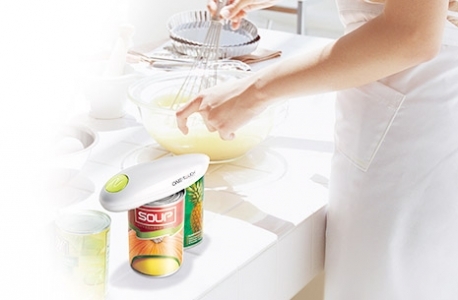 Smartly engineered with battery-powered operation, just one touch, the lid lifts off safely and with no sharp edges. 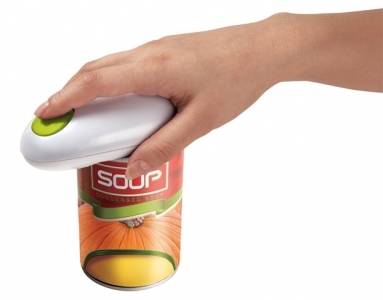 It looks smart and is extremely easy to use. 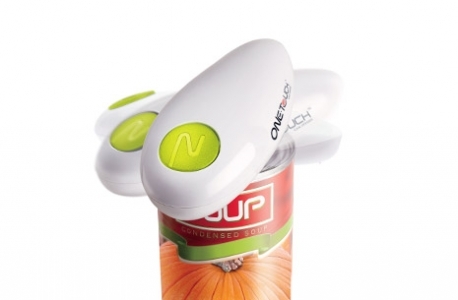 It is ideal for old people or anyone with weak hands.